A stone house in Ogden’s Bingham Fort was owned in turn by Art Stone and Alexander Brown; rear view; photo Deseret News, July 30-31, 1998. 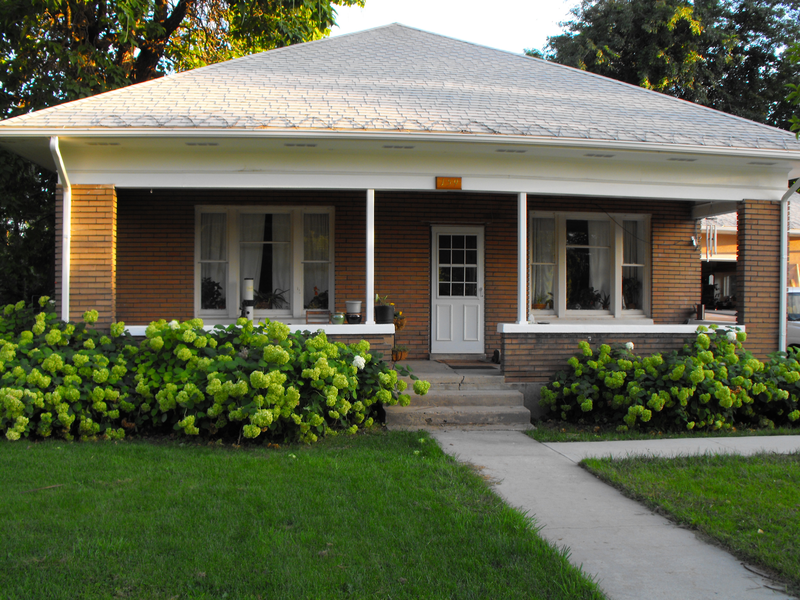 Front – brick house built 1911 for Thomas Manley. View front and rear portions of the house; 1 stucco covered wall and 1 window of Art Stone house partly visible in the rear between the trees. 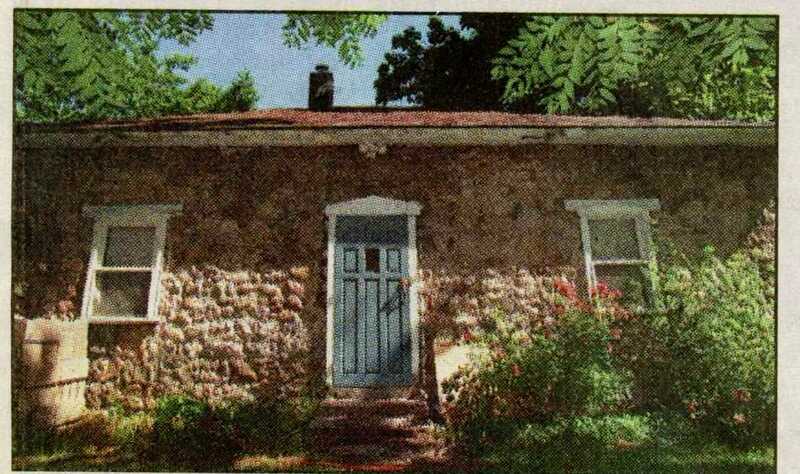 Rubble rock house built c. 1863; photo Deseret News, July 30-31, 1998. 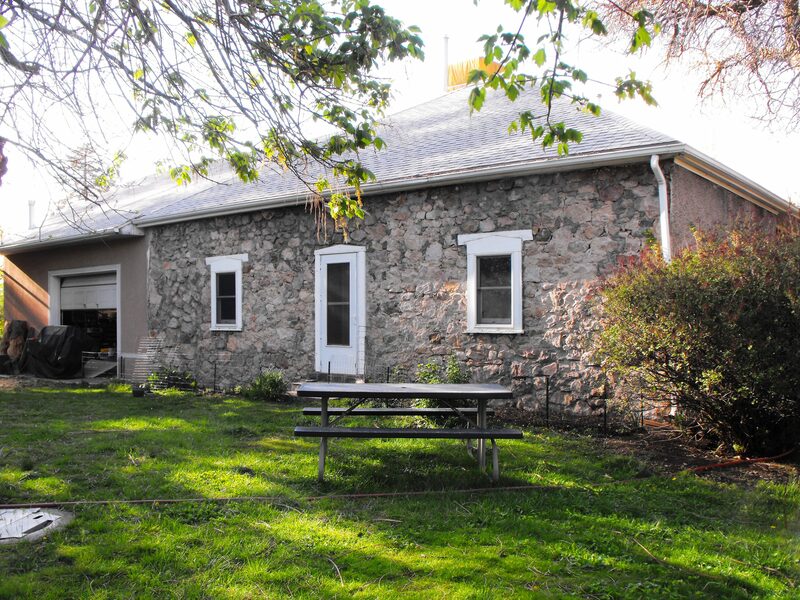 This rubble rock house was built by Arthur Stone from England in about 1863. It had three levels of solid construction that were intended to last a long time. 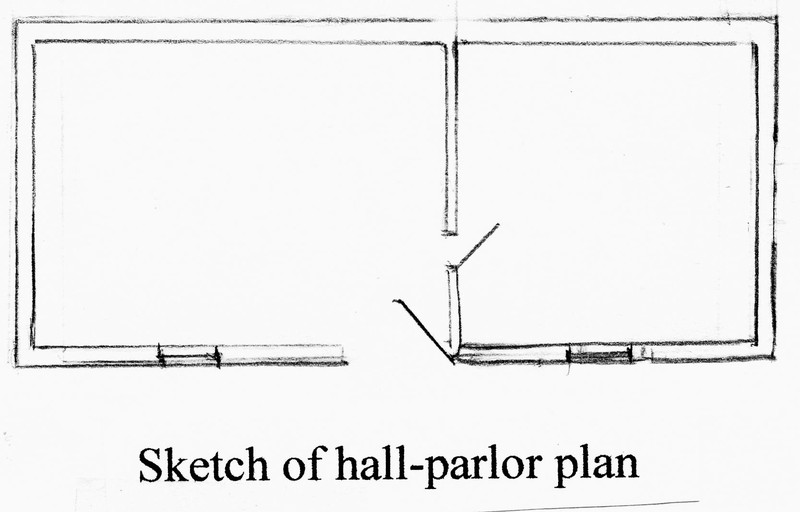 Classified as hall-parlor, the house had two rooms on ground level: a single square room, the hall, with a smaller room serving as the best room, or parlor. It was originally one and a half stories tall with a basement; the upper level was removed about 1911 when the new brick house was joined to the old rock house. 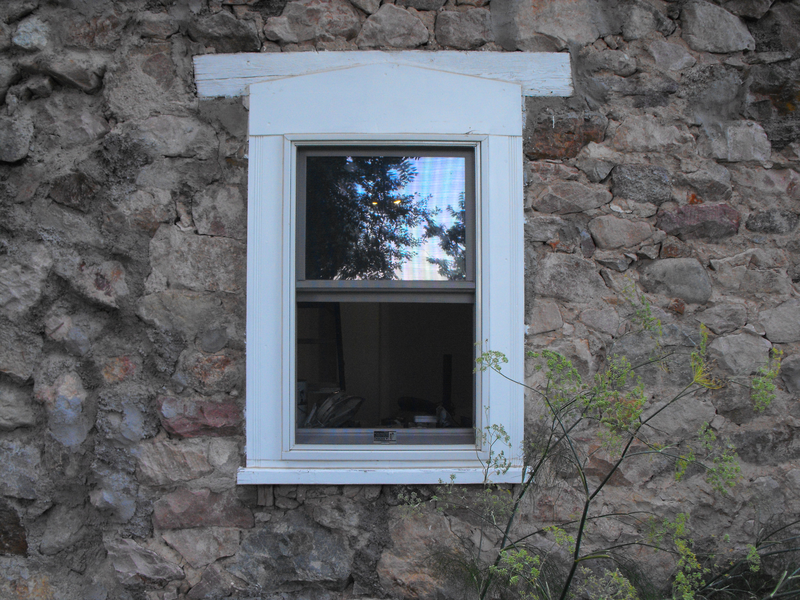 This style of rubble rock house came from England and was found everywhere in America and Utah during the second half of the nineteenth century. In 2015 the hall and parlor rooms of the Art Stone house still have log floors under the carpet, inner adobe walls, and the original exterior window and door casings in place. The upper half story was removed when the brick bungalow house was built in 1911, and the east side of the rock house was covered with stucco. The continuous rock walls of the old house begin in the cellar and extend to the present roof, gradually diminishing in density as the walls near the top. The ceiling of the cellar is six-and-a-half feet from the dirt floor with one exit to the outside. 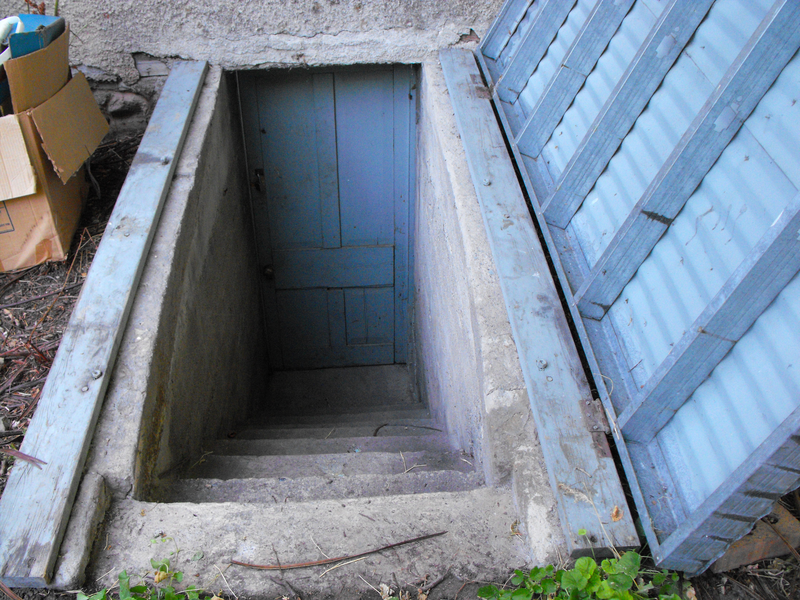 The cellar door is still the original wooden door in a solid mortise and tenon construction opening to stairs that bring one up to ground level. Today the exterior stairs are covered with a hinged storm door. Wood cellar door is a solid mortise and tenon construction. It is interesting to note on 2nd Street that there were two other houses with partial cellars under the main level in the 1860s, and all the owners of these houses were from England. In addition to Art’s cellar there was his brother Edward’s log cabin with a cellar and his neighbor William Gillson’s lean-to with a cellar. Arthur (Art) William Stone was born in Berkshire England in 1841 to William and Mary Cruse Stone. His parents lived in a comfortable English home, and his grandfather was a Squire with much land and a large house. In his youth Art attended school in England. After conversion to the Mormon faith, the family emigrated to America; Art was 13 years old when they arrived in Bingham Fort. His father was knowledgable in agriculture and landscapping and established a farm on 2nd Street (which is presently the Lynne School Lane Subdivision) and built a two room log cabin to accommodate this family of eight (one daughter was married). 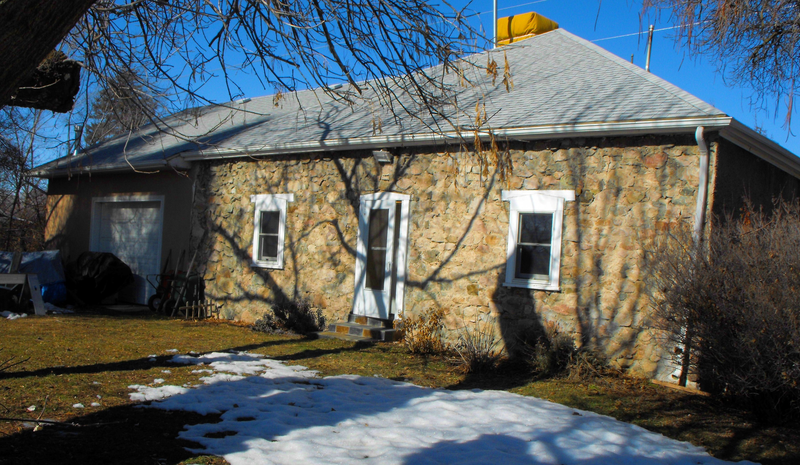 At age 20 Art married Sarah Yeaman, and in about 1863 he built this rubble rock house fronting a 37-acre farm on the south side of Bingham’s Lane (2nd Street) across the street from his father. In building the house he joined forces with his father and three brothers, and they built this sturdy rock house in a familiar English style with a cellar and an upper half story. At this time all other houses on 2nd Street were log or a few were adobe. Art’s rock house was meant to be a very permanent, long lasting structure. Uncle Art was a great favorite with the young Indians. On Sunday, when there was never any work in the fields, her uncle would be surrounded by a group of Indian bucks, and he participated in their games of all kinds. Sometimes it was riding horses, and her Uncle Art had a wonderful riding horse; the saddle and bridle trappings were ornamented or embroidered beautifully with Indian handwork. He had a wonderful suit of buckskin too with leggings, moccasins, etc. to match; everything seemed to be as nice as the greatest chiefs’ sons. The Indians seemed to admire him greatly. She saw his face painted like the Indians’ faces as he joined them in their games. Following the building and arrival of the railroad in the late 1860s, many social and political changes came to Ogden and Weber County. Accompanying the railroad crews were merchants setting up saloons and other stores and large numbers of prostitutes. Railroad workers made liquor available to the Indians with devastating consequences to those who could not resist it. Church authorities advised members not to patronize merchants who were eager to take the Mormon’s money while the same merchants signed petitions to Congress demanding that statehood to Utah Territory be denied because of polygamy and related issues. In response to the non-Mormons the Mormons formed economic cooperatives, particularly ZCMI, to prevent gouging and control other economic and social impacts of the railroad. Art’s wife Sarah was upset when he made purchases at a mercantile store other than ZCMI. Also she did not like him playing at dances on Saturday night returning in the wee hours of Sunday morning too tired to attend church meetings. These things were sorely against her religion, and in 1872 she walked out of their marriage leaving Art with three young children, the youngest a baby of several months; she entered a polygamous marriage as the third wife of Daniel Francis Thomas. Family stories say that Art was excommunicated for not shopping at ZCMI. 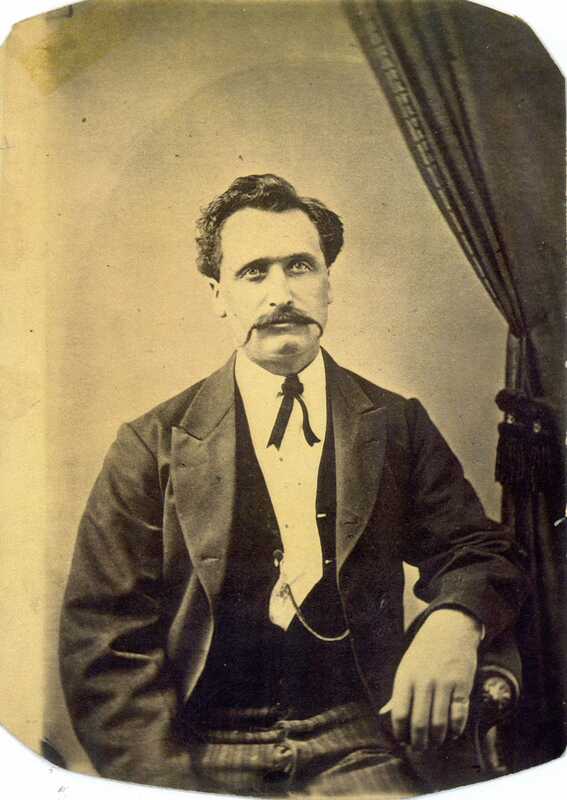 Art with the help of his mother and siblings raised his children until 1876 when he was killed in a buggy racing accident at the mouth of Weber Canyon. At that time Art’s siblings took his orphaned children into their homes. Two years before his death, in 1874, Art Stone sold the rubble rock house and 37-acre farm to Alexander Brown. Alex and his brother Jesse Brown were the first Mormon settlers to Weber County, sent by their father in 1848 to take possession of the property purchased from Miles Goodyear. 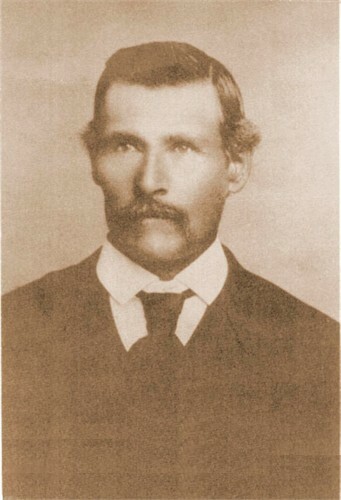 Jesse Brown purchased the farm west of Alexander’s. Today Jesse’s farm is Down’s Drive subdivision, and Alex’s farm is Heritage Elementary School and surrounding houses extending south to 7th St. In their day Alex and Jesse entertained the boys of the neighborhood with adventure tales of the Mormon battalion along the old Santa Fe Trail to New Mexico. Together Alex and Jesse were honored to lead the Lynne pioneer parade on the 24th of July, and they also gave talks around Ogden communities on the early settlement of Weber County. Art Stone / Alex Brown / James Family Home and farm; photo 2010. Henry and Genevieve Kelly James purchased the house and 37-acre farm in 1923, and in time, passed it on to their son Brendan James and his wife Marjorie. The house remained in the James family for 72 years. In 2008 Ogden City’s Heritage School was built on the last portion of the historic farm. Thomas Carter and Peter Goss, Utah’s Historic Architecture, 1847-1940, Utah State Historical Society, 1988, p.14. Dorothy Sherner and Laura ShernerWelker, Mary Elizabeth- Her Stories, manuscript, 1933, p.38. Fred N. Stone, A Reminiscent History of the Lynne Ward, 1934, manuscript, p. 2. Editor Milton R.Hunter, Beneath Ben Lomond’s Peak, Daughters of Utah Pioneers, 1944, p. 139. Sherner and Welker, Mary Elizabeth-Her Stories, p. 2. Richard C. Roberts and Richard W. Sadler, A History of Weber County, 1997, Utah State Historical Society and Weber County Commission, p. 133, 134; Jay G. Burrup, Church History Specialist, LDS Church History Library, letter, 9-15-10. Interview Edna Kent Stone by Macel Stone Montgomery, manuscript, c. 1965; Dixie Summers Botsford, A Short History of Arthur W. Stone and Sarah Ann Yeaman, manuscript, p.2. The Lemon Survey shows that this farm was composed of two free land claims of 20 acres each that were first claimed by Erastus Bingham in 1851. Standard Examiner, Bingham’s Fort, Built To Guard Against Indians, Is Remembered By Subscriber, George Pierce, 1934. Interview with Marjorie James, March 21, 2007.